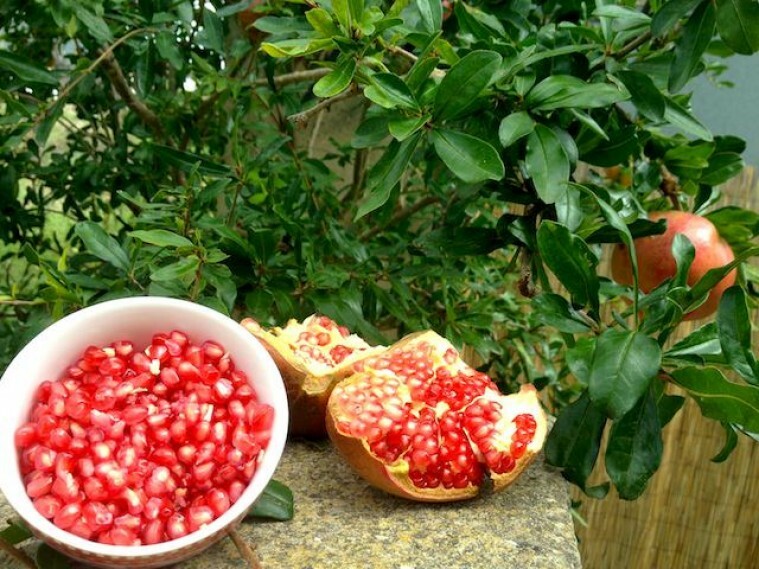 its pomegranates season in mallorca and most parts of the world! this quite peculiar fruit has been thought to hold legendary powers for centuries. 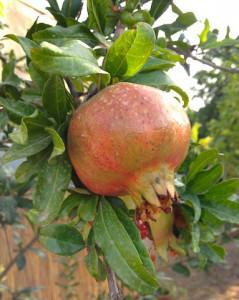 persians believe eve actually ate a pomegranate when she plucked from the tree of knowledge in the garden of eden, not an apple. ancient egyptians buried their dead with pomegranates because they believed it offered eternal life. this fruit is also featured in mythology and tradition as a symbol of good tidings. 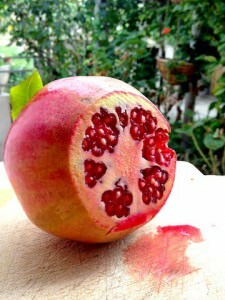 greeks break open a pomegranate at wedding celebrations and the chinese eat candied pomegranate seeds for good luck. not only are pomegranates good for your heart and blood vessels but they have been shown to very beneficial in prevention of breast cancer, prostate cancer, colon cancer, leukemia and others. packed with antioxidants equal to those in green tea and red wine, and especially loaded with vitamin c and potassium, organic pomegranates are believed to be most powerful anti-oxidant of all fruits potent anti-cancer and immune supporting effects inhibits abnormal platelet aggregation that could cause heart attacks, strokes and embolic disease lowers cholesterol and other cardiac risk factors lowers blood pressure shown to promote reversal of atherosclerotic plaque in human studies may have benefits to relieve or protect against depression and osteoporosis pomegranates are one of the few fruits where the juice is just as beneficial as the fruit or seeds. the peel, which you can’t eat, contains the most antioxidants, and they are released in abundance when the fruit is squeezed for juicing. if you are not so fortunate to have a tree in your garden or a friend who has one, you can get them in the stores from september until around january. if you refrigerate them in a plastic bag, they keep for up to 2 months. eating pomegranates might interfere with certain medications in the same way that grapefruit juice does. pomegranate’s wine-red juice will stain your fingers, clothes, and countertops! be careful with these.